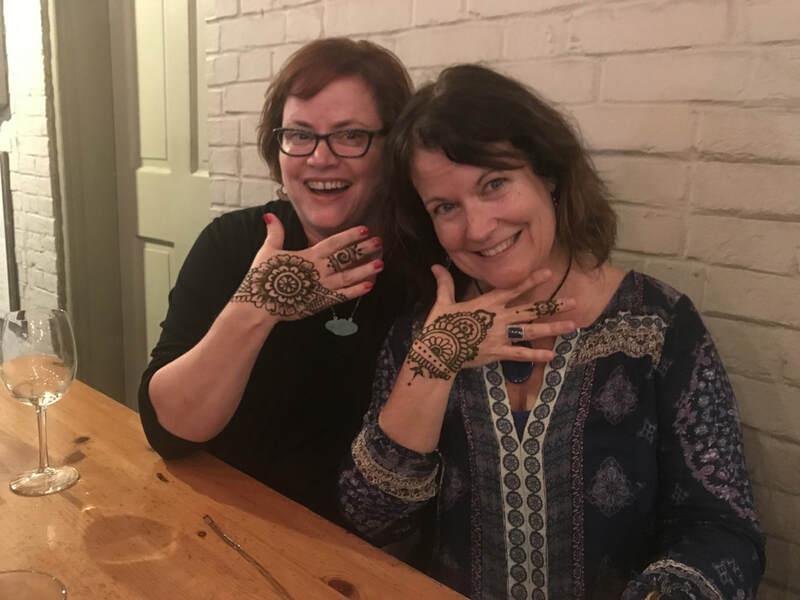 ​Teen birthday parties are a great place for henna! Sports team banquets and school functions are a great place too! Maybe you just need a night with your girlfriends with good conversation, wine and some beautiful henna art. ​You can book an artist for an hour or a whole day. You can have your guests pay for their own artwork or you can pay by the hour. You can even have us bring a limited set of examples of a certain size that the guests can choose from.